Scottish Fold cat price range. How much do Scottish Fold kittens for sale cost? The Scottish Fold (or the lop-eared cat) is a cat breed originating from Scotland and characterized by its folded ears. With its chubby figure, short dense coat, big round eyes and adorable short legs, the Scottish Fold has charmed many cat lovers in the world. The current Scottish Fold cat price is around $800/kitten, but it can vary from one to another. 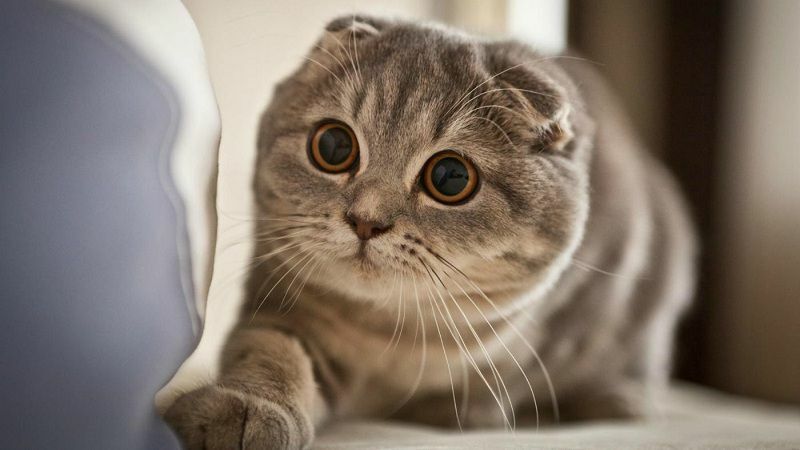 You can refer to the article below for more information on Scottish Fold kittens for sale prices, selling websites and reputable breeders. Despite a common breed, the price of a Scottish Fold is unexpectedly high due to its difficulty in breeding and its susceptibility to genetic diseases. Depending on your purpose of raising a Scottish Fold, there are many price options to choose from. Such kittens have no breeding rights. However, many people are still willing to spend $550 – $1200 on a pet-only Scottish Fold because of its docile and lovely temperament.